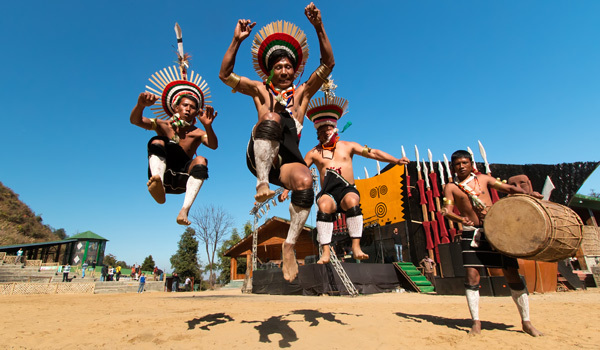 Not only the predominant cultural event of the region but also ranked among the fastest-growing festivals in all of India, the Hornbill Festival brings together all 16 of the tribes of Nagaland in a fit of celebration at the beginning of December every year. Though most tribes in the region have their own annual festivals as well – these events are aligned with the agricultural season, and as such are considered sacred – this is the sole occasion when they all come together as one. The result is a busy and unabashedly colorful celebration, which ranks among the most memorable experiences for visitors to this part of the world. Looking for accommodation to line up with your Hornbill-timed stay? One of the best ways to get up close and personal with the events is the Ultimate Traveling Camp. 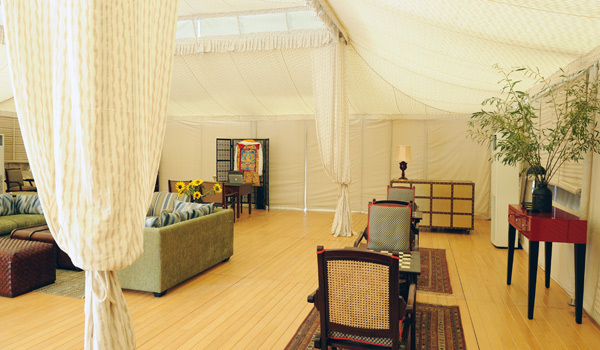 Billed as a highly luxurious nomadic camp, the UTC offers high-end accommodation indoors – think personal tents that are climate-controlled, outfitted with plush furnishings, and even offer private en suite bathrooms – and stunning landscapes right outside. 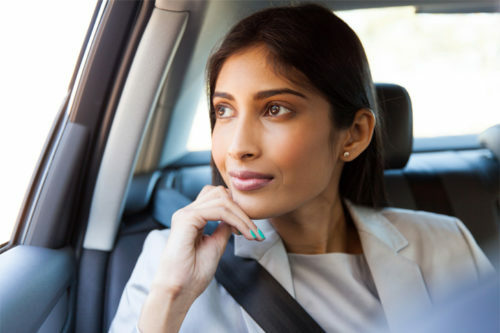 The Kohima Camp hosts guests in the gorgeous, mountainous region to time with the festival, and this year is offering two-, three-, four-, or five-night itineraries. 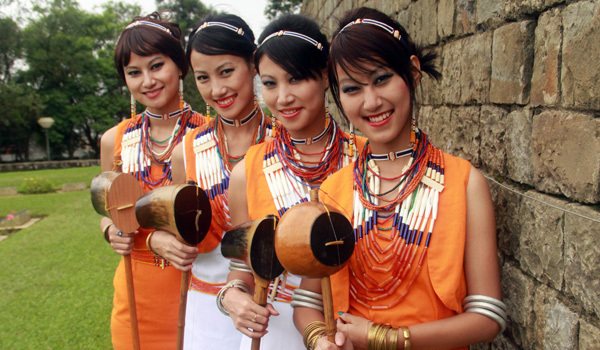 Not able to visit during the Hornbill Festival of Nagaland, but still keen to discover the region’s local culture? Tribal festivals are held for much of the year, and lucky visitors may catch a glimpse of the traditions that still define this region. 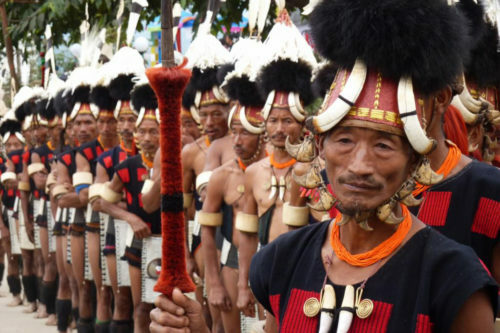 The Yemshe Festival, held in October by the Pochuri tribe, takes place in Kohima. One of the most popular Nagaland festivals, it comprises gift exchanges, feasts, vibrant displays and other local rituals. For those traveling in the spring, the Moatsu Mong Festival, hosted by the Ao tribe, falls every May; the celebrations are typically marked by large performances around a central fire. 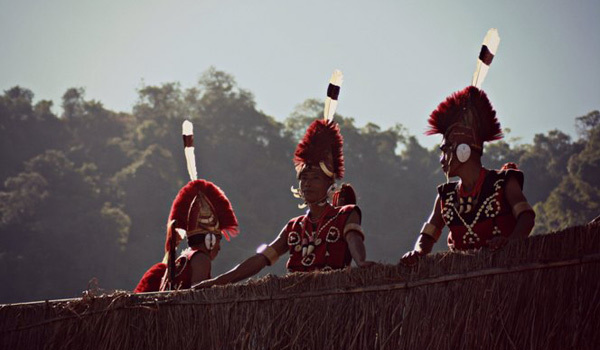 The Sekrenyi Festival, celebrated by the Angami tribe each February, is another highlight among the local events.